Film is going to the dogs, and that’s a good thing, according to Tracie Hotchner, pet wellness advocate and radio personality. Hotchner is producing a one-day cinematic celebration honoring the bonds between people and their dogs. Hotchner who is the voice behind the Radio Pet Lady Network is producing the First Annual Dog Film Festival, which can be seen October 2, at Symphony Space in Manhattan. This day-long event will showcase short films up to 45 minutes in length in two hour intervals. Film categories include animated, live action, and documentary. Film submissions are currently being accepted. 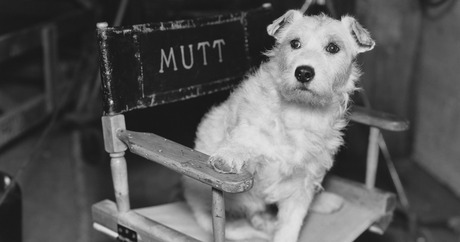 “Featured films will be chosen for their provoking thought, laughter, tears, or amazement from the thousands of people who will gather to share their love of dogs,” Hotchner says. Specialty canine-themed drinks for pet parents and snacks for the dogs will be served. Admission is $50 per person; a portion of the ticket fee goes to Bideawee, a leading animal shelter in New York City that is known for its many educational, veterinary, and adoption programs in Manhattan, Westhampton, and Wantagh. Since the festival is new, dog parents can sign up to become a founding member. For more information about getting involved or purchasing tickets, visit the Dog Film Festival site.